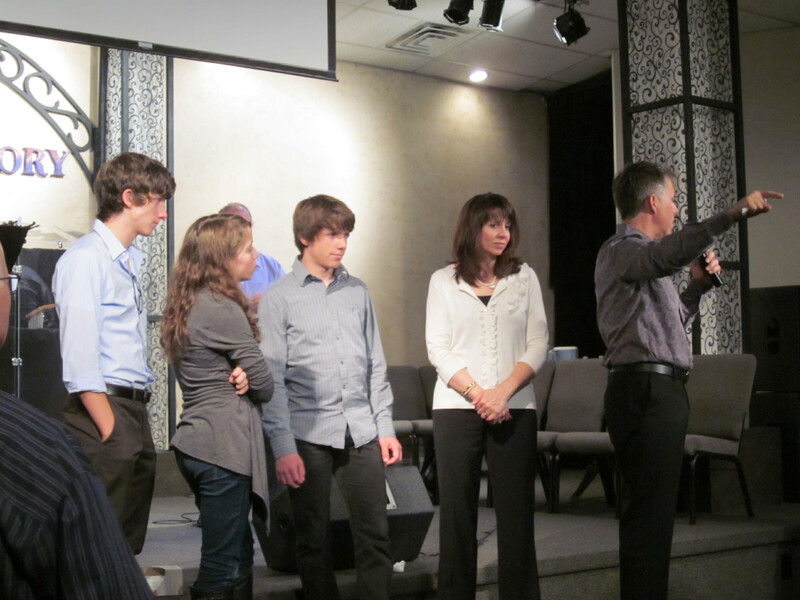 I cried all through worship Wed. night when Tom & Andrea walked in at church. There are really no words, are there? I’m looking forward to Heaven. I’m so glad you posted this, Lori. Being so far away, I want every detail I can get. I’m gonna miss seeing the Bedfords and the Forbises when we visit MO. It won’t be the same. Michael and I got to see Tom last weekend too. It felt so good, and so very nice of God, to get to hug him before they left. And I hope this isn’t an annoying comment on a sentimental post, but the sanctuary looks so nice! Ha! Seren, not annoying at all. Everyone worked so hard on it. New chairs & carpet…a dream come true! 😉 Glad you guys got to see him. El, most of the details were soggy. Glad to help though. Kath, actually quite a few people cried last night at prayer still. I totally agree with you on the Heaven thing. Come quickly Lord Jesus! My girls and I are going to Fresno in March to visit. This is the only way to make our sadness go away. Maybe we will make it our home someday too. Only God knows right now.